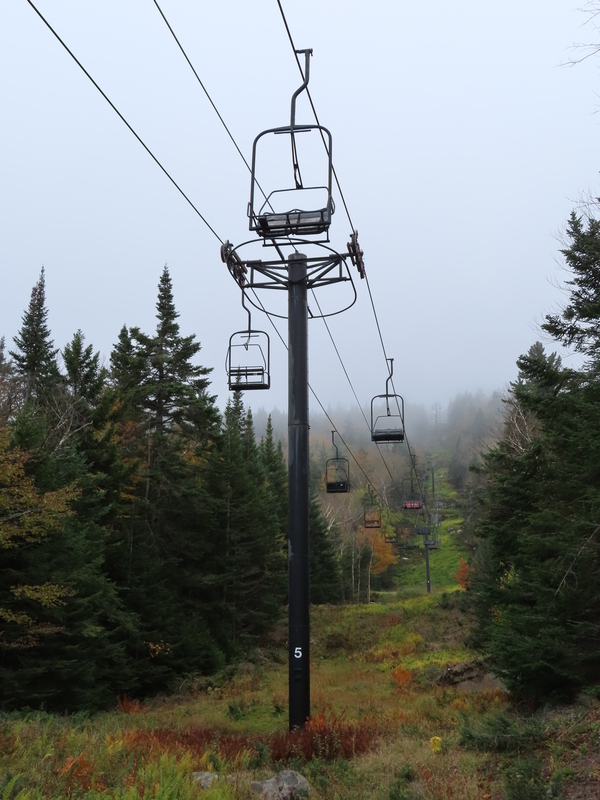 This Riblet double is one of two chairlifts solely servicing the summit since the original gondola’s retirement in 1999. 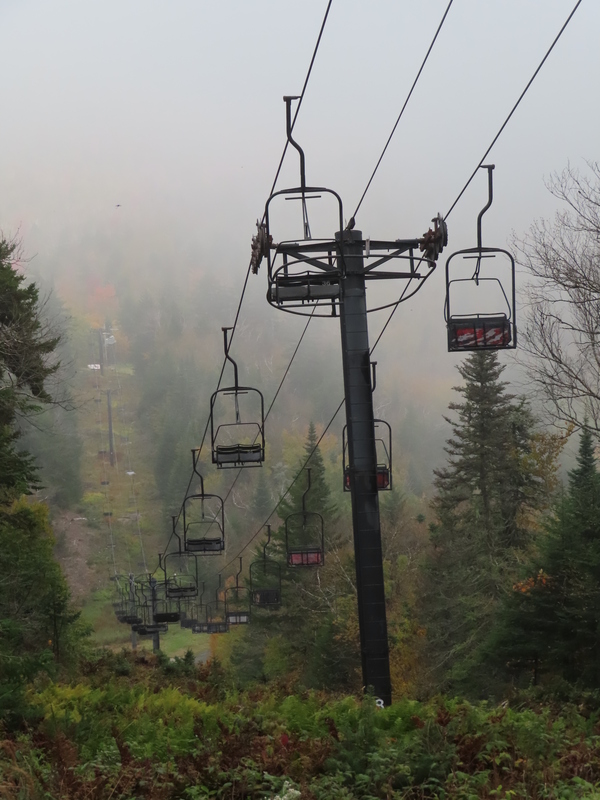 Lower half of the lift line. The top terminal was upgraded by CTEC. Looking down on the drive station. Loading area and hydraulic tensioning ram. 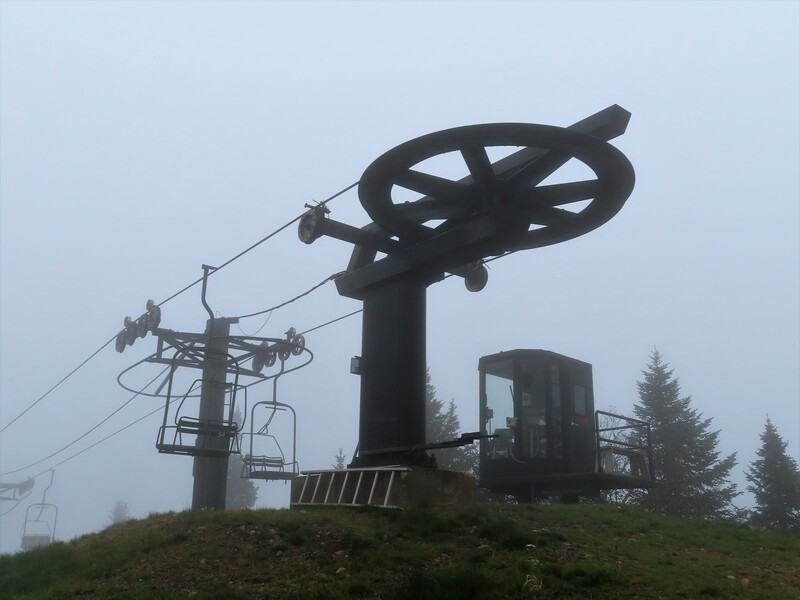 This lift was shortened in 1995. It used to end around the top of The Rumor. You can see the former upper line on Google Earth. When it was shortened, it got a new drive and return structure. The drive structure is a CTEC Sprint, but has a Riblet motor room enclosure. I also think all the mechanical components are original. 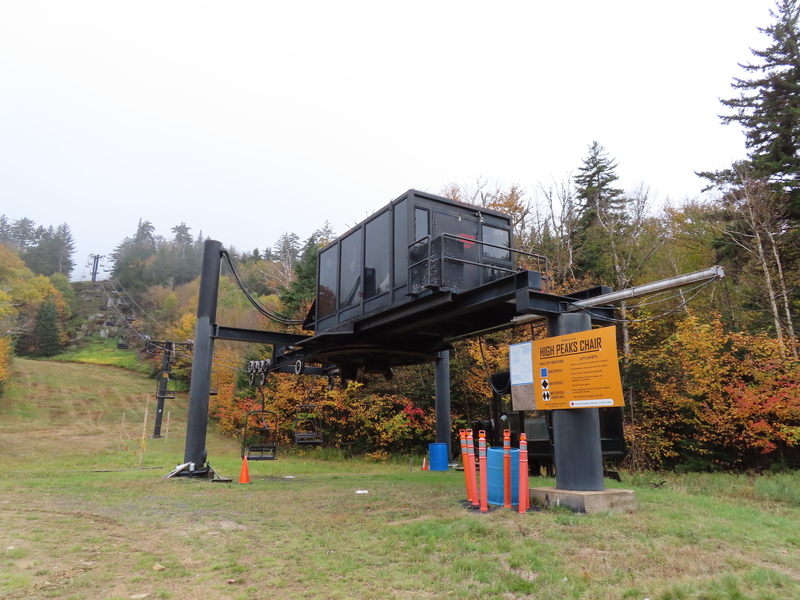 It is scheduled to be replaced as part of the Unit Management Plan, but the type of lift is unspecified, although the top would be returned to its original location. 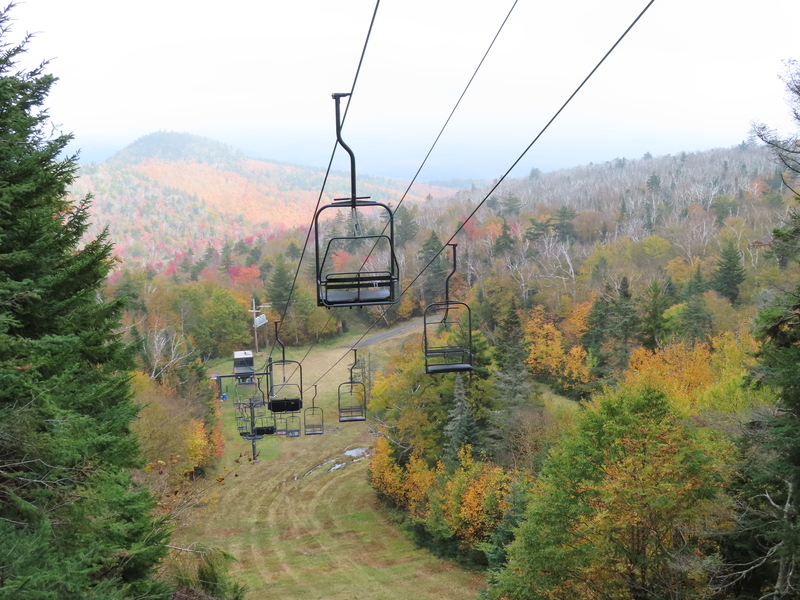 The want to extend it again so that someone coming from the base can take either the Northwoods Gondola to Straightbrook or Adirondack Express II to High Peaks and get to all the same trails. 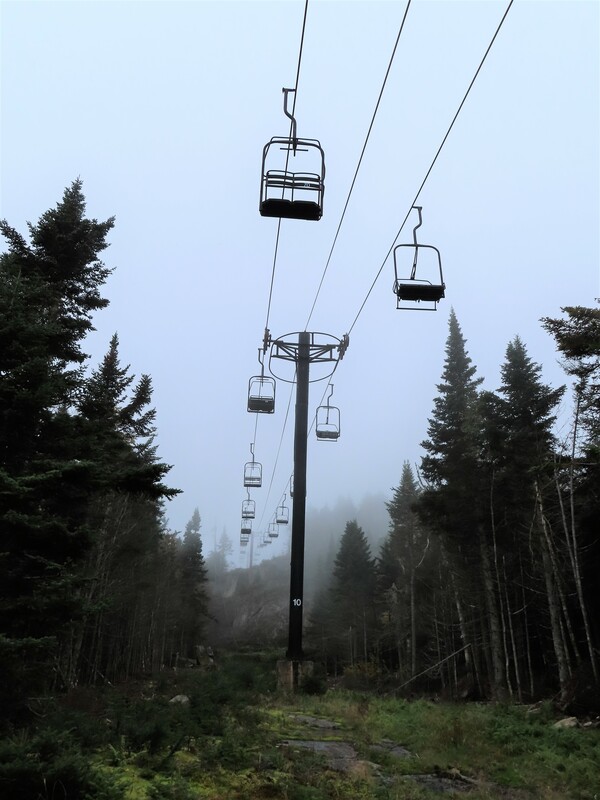 Currently, riding the gondola and skiing to the Straightbrook Quad is your only option if you want to ski anything above Lies. 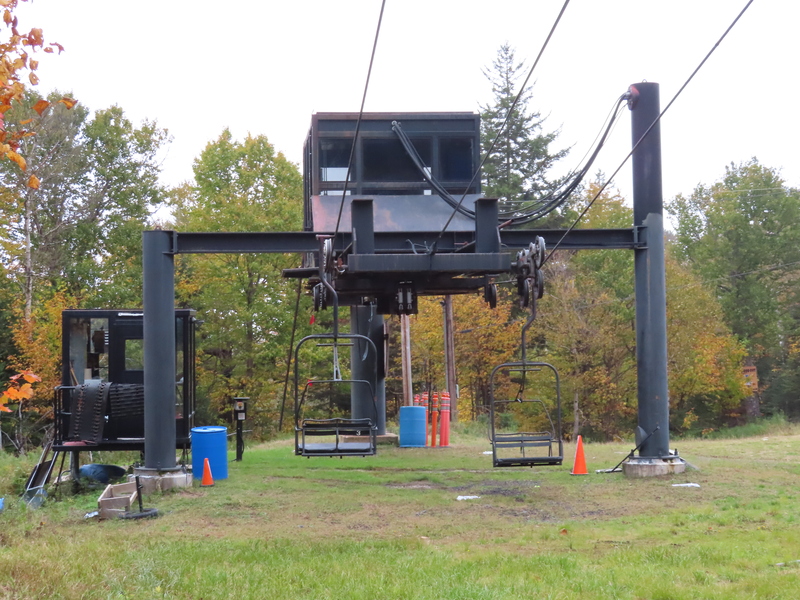 Well ORDA deferred maintenance strikes again and now this lift is done for the season. Too bad ORDA won’t be replacing it this summer as originally planned. Another expensive repair and yet another season of breakdowns coming. Maybe they’ll come to their senses and finally replace it.